Sheri Andrunyk is the founder of I C Publishing and Consulting and creator of the Hearts Linked by Courage© series supporting the important work of the not-for-profit sector. Sheri Andrunyk is the founder of I C Publishing and Consulting, three time author, and the creator of the Hearts Linked by Courage© series supporting the important work of the not-for-profit sector. 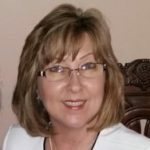 Her and her team provide individual writing, editing, and consulting services as well as full partner publishing packages designed to bridge the gap between traditional and self-publishing for those writers seeking a professional partner and platform to assist them in their journey as an author. In 2017, her company was honoured with the first Mental Health Friendly Business Award by CMHA York and South Simcoe—a testament to the meaningful work I C Publishing and CMHA collaborated on to bring to life the second book in the Hearts Linked by Courage© series. The third book published in the series celebrates Hospice Georgina, a wonderful organization serving north York Region for over twenty years. Sheri is also the senior writer and sponsor of the Annual Merk Photography Portraits of Giving project, and volunteer chair of the Salvation Army York Housing and Support Services (YHSS) Community Advisory Council serving Belinda’s Place, Sutton Youth Services, and YDS Housing Retention, helping the homeless and vulnerable in our region. As a mentor, Sheri has a deep passion and expertise for creating profound change, joy, and inspiring growth in her own life, as well as the lives of others. She believes we all have seeds of greatness within us that we must cultivate and use to make a difference in our homes, communities, business, and beyond.